Cloud computing definition revolves around the basics of different online services like software development platforms, servers, and storage. It is often referred to as “cloud.” The term cloud computing was popularized through Amazon.com during 2006, upon the release of Elastic Compute Cloud product. After which, the cloud computing definition has been coined to be synonymous with online services, particularly, online accessibility. 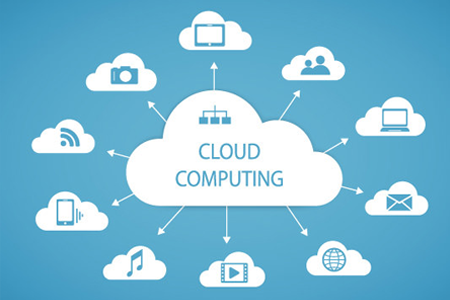 The Cloud computing definition was further represented by the cloud symbol, as it refers to networks of computing equipment connected by the internet. It also refers to sharing of computer system resources that enable organizations to discount the expenses for computer infrastructure and maintenance. For businesses that are just beginning to establish their online presence, understanding cloud computing definition can open opportunities for their venture. It minimizes costs in building your own computer system to keep your business up and running. Cloud computing definition is not limited to that. It can also deliver services that are fast, manageable, scalable resources with less maintenance. The cloud vendor completely manages the back-end of the application. This means that you will be handing over the data to the vendor for management. Since cloud computing stores the data in several units connected through the Internet, your data will be handled by the cloud vendor. Also, the tasks of maintaining the hardware will be the vendor’s responsibility. The user will only pay for the services that are needed by the website. This is an advantage for entrepreneurs who are just starting online. Since finances are limited, it helps that only the percentage of the resources that you really consume will take a cut from your budget. These resources include memory, processing time, bandwidth and other computer resources needed for your business to go live. Services are scalable from any cloud computing provider. You don’t need to be stuck with a contract that only offers a fixed set of services. If you need to lessen the resources you’ll use, it will be possible. It would be the same thing if you need upgrades of computer resources as your business grow. These characteristics answer to cloud computing definition and are results of the ability of cloud computing vendors to pool resources when needed, and spread them out to multiple clients. SaaS refers to cloud-based applications that are used thru computers that are connected to the internet. Using a web browser, the user accesses applications that are owned and operated by others. These applications run on distant computers in the cloud and are remotely connected to the web browser to be used. Using SaaS, you can sign up and start right away with business applications that can help you with online marketing. Also, this provides accessibility of your applications and data using any computer that is connected to the Internet. If your computer suffers from a sudden hardware failure, there’s no need to worry. Since data is saved in the cloud, it isn’t lost and you can always access it thru another hardware connected online. Lastly, this service is dynamic and depends on your usage needs. The benefits and characteristics of SaaS answer to the basics of cloud computing definition. PaaS is the provider of a cloud-based environment to build and deliver web-based cloud applications. It ensures that the environment has all the requirements for the completion of the said applications without the cost and the hassle of buying and managing the hardware, software, provisioning, and hosting. It can help develop applications and deliver them to the market faster. It can also deploy to the cloud any new web application in minutes. This service answers to the cloud-computing definition, and the convenience that the cloud provides even for app developers. IaaS takes care of the computing resources that companies need in order to take their businesses online, such as servers, networking, storage, and data center space. The difference is that these resources are paid based on usage. Whatever your business needs, for now, only that will be asked to be paid. And if ever your business would need more resources in the future, those resources will be provided and will be paid in accordance to usage. Whatever you need, they can provide, and only that will be paid. Since hardware is taken care of by cloud computing, there is no need to spend a large amount of money for your own infrastructure. Save that up for other financial needs of your business. This kind of flexible and innovative services on demand generally answer the cloud computing definition for entrepreneurs who want a wiser choice for their Ecommerce venture.